No doubt you have read some of my rants about not using social media properly. In this blog, I have tried to use a little humor and add my selling point as well. The motivators of FEAR and GAIN can usually get people to take action; the fear that they will “miss out” on something (I.e. “This deal will expire soon, so you better do something NOW) and the opportunity “to gain” something (I.e. “You’ve just scored one great deal and a great car that your friends will go wild about.”). Using these kinds of motivators, hot buttons are pushed, eyes glaze over and prospects now become customers. Now, it doesn’t happen all at once. You have to say it over and over; usually a campaign of four emails over 20 to 25 daysto to the relevant target audience. In the old media world, it took 12 to 14 impressions to make a dent. Do you know how many emails we see every day? A bazillion, right? so set up a series of three or even four on the same theme. Then space them out over a period of 5 to 6 days in between each email to the same targeted “cell” (described below). If this is your 1st email, then the second and third ones should talk about variuous preventative methods to stop mosquito bites (Google that). Here’s an example of one email I would send to women and men 25 to 44. If you are able to segment my data base into women and men, then you might have a subject line like, “Ladies, don’t let mosquitoes spoil your BBQ. New miracle formula . Or “Guys, a sure fire way to make your BBQ great.” Or How to Get Mosquitos To Never Bite You Again. I would also add actual facts about mosquito bites from a person knowledgable out this subject. You could also try a “split test” where you would make another offer to the same segments. In effect, you would have two (2) male segment cells and two (2) female segment cells. You can then judge responses by click throughs to a landing page or emails back to you or good old fashioend phone calls. 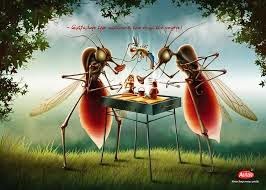 Nothing Spoils a Back Yard BBQ Faster Than a Swarm of Mosquitoes, Not to Mention the Endless Scratching That Results!! How about one night a week where you don’t have to cook, where you can get away from mosquitoes and relax in air conditioned comfort while you enjoy some fun with friends and family? Its Summer Bowling Where You can Knock Down 10 Pins, Just Kick back and Enjoy The Fun. We have 8 to 12 week bowling sessions for competitive bowlers, social bowlers, kids and adults, baby boomers, programs for rookies and programs where you get to go to a (baseball team name) game or get a new bowling ball. Just click here (landing page link of our summer program schedule) to see our schedule and then call us to reserve your spot or to ask us any questions. (phone number).